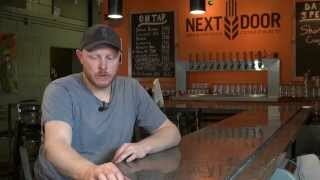 Plan an Event with Us - Next Door Brewing Co.
Next Door Brewing Company is happy to host your next event. We have worked with weddings, rehearsal dinners, birthday parties, anniversary parties, bachelor/ bachelorette parties, work lunches, company outings, holiday parties and other special events. We can work with you on a custom menu and experience if preferred or happy to offer existing beer and menu options for your group. Next Door can accommodate small outing or big groups up to 100 people.